I’ve mentioned how much I love the Beaver Builder community a few times now (on top of loving Beaver Builder in general), Davinder is the perfect example of why this community is so awesome. I’ve had the good fortune of getting to know Davinder this past year and he never ceases to amaze me with how much he produces (and this is just the stuff we get to see… he has client work too. He’s brilliant at producing and creating). One thing Davinder does better than anyone else I’ve seen is aggregate content. His site, ProBeaver does this for all things Beaver Builder. 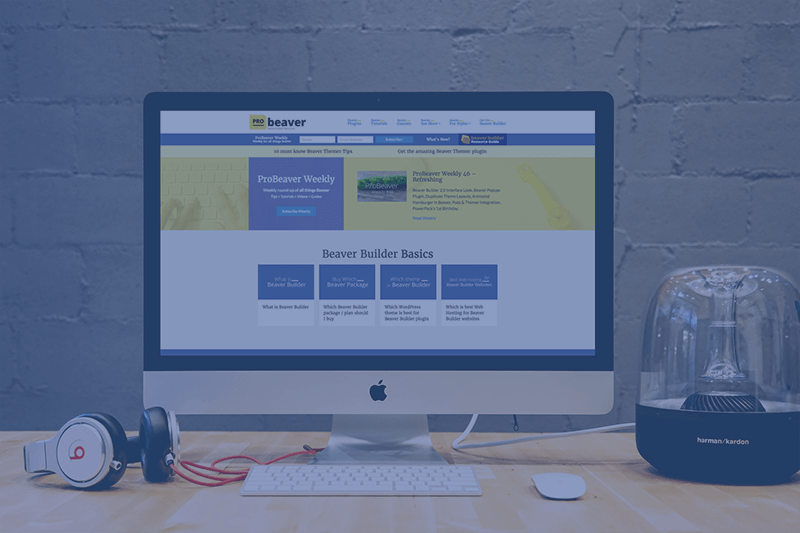 Anytime I have someone who wants information on Beaver Builder I send them to ProBeaver. He’s also recently launched another site, TheWPDaily.com, which yep, brings you WordPress news daily! Before we talk about ProBeaver, what were you doing before launching this site? What made you decide to go all in with Beaver Builder? Creating a niche site around one specific tool in WordPress is a great idea. I’m a huge fan of niching down within WordPress… any recommendations for someone who might be interested in doing something similar? I also believe that content marketing is one of the best ways to grow your audience and build affiliate income. You create the weekly ProBeaver post and email about all things BB. How much time do you spend on aggregating the content? You just recently released the Beaver Builder Resource guide. I noticed you did a pay what you want model (or free download). What made you decide to go this route instead of a paid ebook? I’m assuming you’re an affiliate (hoping) for everything you support and recommend. What has worked well for you in promoting affiliate products? I spend entirely too much time chatting with Davinder on Facebook, but I love every minute of it. He is fast becoming my go-to guy for all tech/web stuff. Love to hear you two talk!